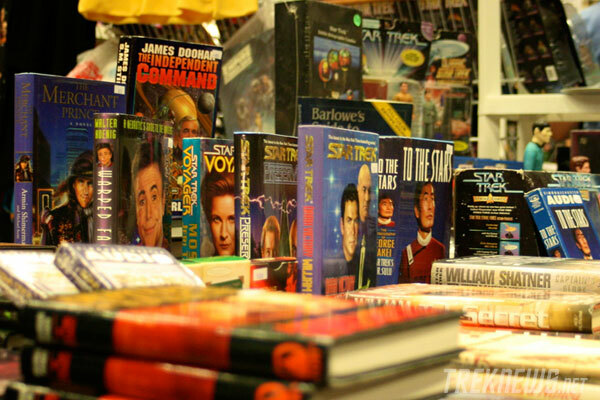 Star Trek, comic book and other genre conventions have changed quite a bit in recent years, growing from small gatherings of fans to veritable media extravaganzas. Whether a seasoned veteran or a starry-eyed newcomer, they can be an overwhelming experience if you’re unprepared. 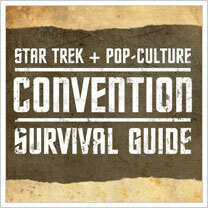 That’s why we’ve compiled a list of helpful hints ranging from common knowledge to insider tips to make the most of your convention-going experience. 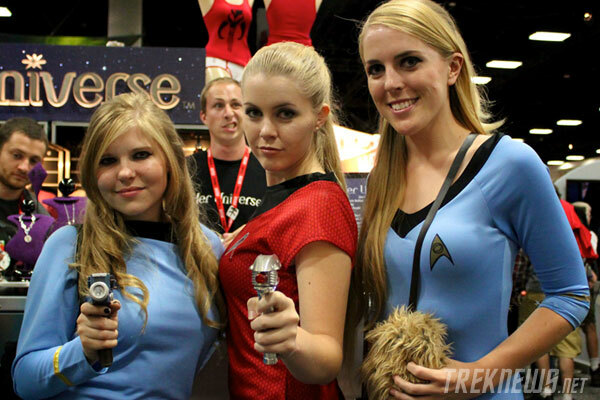 It’s easy to be enticed by everything you see at a convention. It’s even easier to convince yourself that you really “need” that awesome scale model of the Enterprise or phaser replica (after all, it is set to “stunning”). It’s harder, yet infinitely more responsible to set a budget for yourself of cash-on-hand and not go a penny over. However, in the case of an emergency, know where the ATMs are located. If you see an item that you fancy (and isn’t con-exclusive), take note of it and buy it later. Instead of buying an über-expensive art print on site, remember the artist and further explore their work at your leisure through sites like deviantART. Odds are that it’s cheaper over the internet and you’ll see a more diverse sampling of their portfolio. It’s usually cheaper and sometimes the only way to ensure you’ll even get in to begin with, especially with big events like San Diego Comic-Con. Pre-purchase lines are also generally far shorter than at-the-door. Never underestimate the benefits of showing up before the rest of the crowd. Not only will you avoid lines, but it’ll allow you to orient yourself to the event’s location before it becomes too crowded. As they say, “the early Bird of Prey catches the wormhole”. No pretzel is worth $10 (no, not even those delicious cinnamon-coated ones), yet conventions continue to get away with such prices at the expense of ill-prepared attendees. Packing a sandwich will save you money and more than a few nights of violent indigestion. If you’re travelling light, bring along small goodies to snack on throughout the day. If neither of the above options appeals to you, know where good (and more importantly, cheap) restaurants are in the immediate area. Cons are more often than not set in cities, and sometimes it’s difficult to find a place both convenient and affordable. Plan your meal(s) ahead of time and avoid the inevitable lunch/dinner rushes. It’s also good to have bottled water to keep yourself hydrated, as the cumulative body heat of everyone indoors is enough to melt even the most hardened Starfleet Captain… cosplayer. Especially if you chose to ignore my advice about the pretzels. A picture tells a thousand words and there’s enough at any given con to write a Robert Jordan series. People in costume love to have their pictures taken. Just remember to always ask beforehand, be polite and to not inconvenience other attendees in the process. It’s common knowledge that the coolness of one’s costume is inversely proportionate to how easy it is to wear, especially for an extensive period of time in tight quarters with questionable air conditioning. Be prepared for the long haul if you have elaborate or cumbersome attire. The more the merrier! Just make sure they’re as into everything as you are. Extra sets of hands to carry all of the awesome stuff you get don’t hurt, either. Look up and/or print a schedule of events in advance and plan your day accordingly. There’s lots to see and do and little time to do it in. Remember to also schedule time to visit the show floor between panels and events. You know exactly who I’m talking about: the overbearing fans that borderline harass guests, heckle during talks and are generally rude and inconsiderate towards fellow attendees. It’s okay to be passionate about your denomination of fandom. Heck, that’s why we all go to begin with. Just don’t detract from the experience of others. Cons are a great way to network and spread the word about your business/podcast/website if you have one. Bring contact cards and talk everyone up. Even if you don’t have an enterprise you’re soliciting, take this opportunity to meet people. It’s extremely rare that you’ll find such a concentrated group of like-minded and awesome individuals. That’s what cons are ultimately about – people coming together to celebrate their love of a common interest. 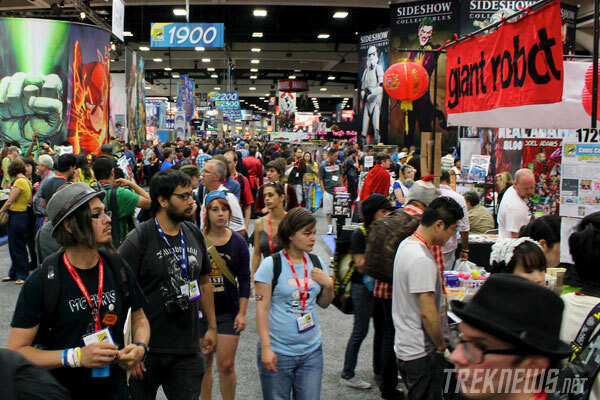 Don’t get lost in the hustle and bustle of a con. Sure, it takes a fair amount of planning and a liberal amount of maneuvering and compromise to see and do everything (or mostly everything) that you want, but don’t get stressed! The point is to enjoy yourself. Let loose and have fun. Cons are amazing experiences that only come along so often. So make the most of it! Have any additional tips? Leave them in the comments! Alex is a writer, actor, and improv comedian living in Southern California. Among his harem of rather unhealthy obsessions are comics, cartoons, video games, Star Trek, Star Wars, horror films, Daleks, and David Bowie. When not desperately attempting to make people laugh, he travels through time with his girlfriend and overweight tabby cats playing practical jokes on influential historical figures and collecting NES cartridges.